Yayoi Kusama. I’m Here, But Nothing. Multi media installation at the IBM Building in Ward Village. Park in the T.J. Maxx lot and cross into the IBM Building, inside, docents will lead you to the third floor exhibition. Part of the Honolulu Biennial, the Kusama will be on view until May 8, 2017. 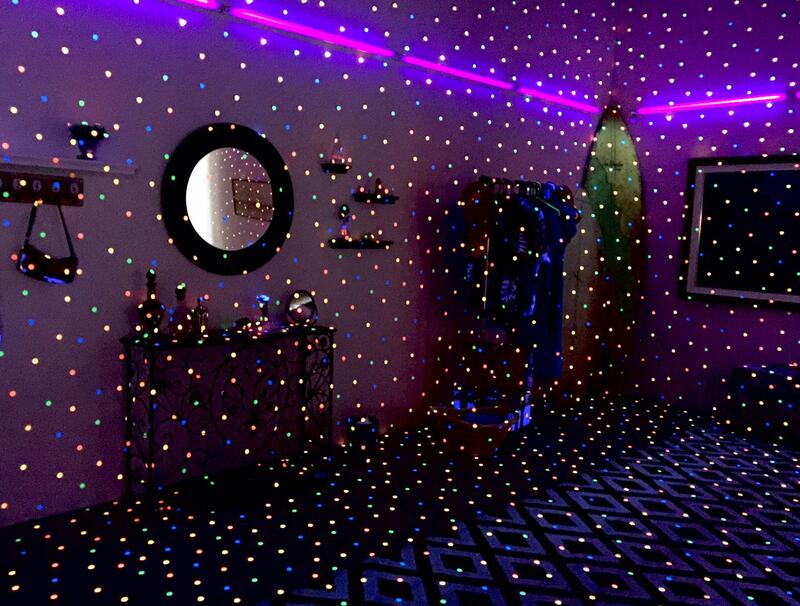 A look into Yayoi Kusama's memorable exhibit at the Honolulu Biennial. See Yayoi Kusama’s installation, ”I’m Here, But Nothing,” at the Ward Village IBM Building, from 10 to 5pm every day except Wednesday. It’s free. The Honolulu Biennial continues through May 8th, 2017. Park across the IBM Building in the TJ Maxx lot, cross over and enter the IBM building, then look for Honolulu Biennial docents who will lead you to the third floor installation. 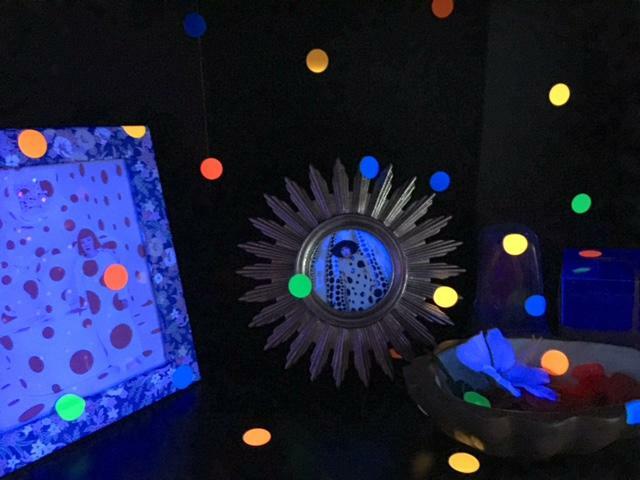 Chong: She works a lot with circles and polka dots to kind of express and provide therapy for herself because she definitely had some mental issues throughout her life. She suffered from a lot of hallucinations, so she used these circles as a therapeutic way to express what she was seeing to her audience. Artist and Biennial volunteer, Alicia Soder says, to this day, Kusama will work a fifteen hour day. Soder: Every lunch time she has sushi, she eats quickly, while she’s walking and when she’s ready at night she goes, voluntarily to a mental institution. The room, dimly lit, is kind of a typical local home, even with a surfboard, except it’s teeming with fluorescent dots---they seem to float in space like other dimensions. Chong: The feeling I get when I come in here is very lonely, that’s the vibe I get. She says the dots represent the sun and forces of nature. Soder: So you look at the video, all these beautiful sunflowers, she’s playing in it, she’s peeking out of it. 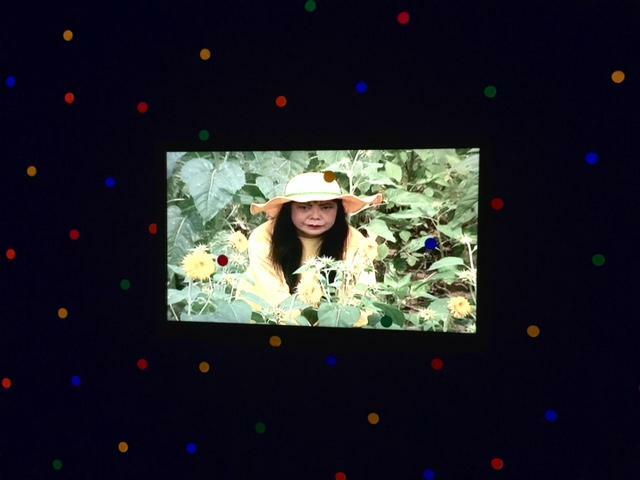 Believe me, Kusama doesn’t look like your typical flower child, with her glowering visage and blunt cut bob. But the room is strange and beautiful.